At just under 90,000 residents, Livermore is the most populous city in the Tri-Valley area. With a Mediterranean climate, Livermore is one of the oldest wine regions in California. 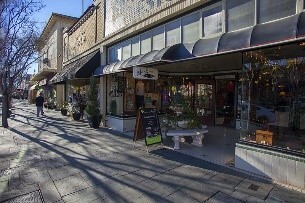 Downtown Livermore features a wide variety of restaurants and shopping options. There are also two movie theaters and a community theater for live events. The largest employers are Kaiser Foundation Hospitals, US Foods, and Comcast. For commuters, Livermore is located right next to the I-580 Interstate, providing easy access to the rest of the Bay Area. There are also two stations for the ACE commuter train, which runs from Stockton to San Jose.